Post if your interested I can use all the help I can get. PM a list of players on your trading block along with players you wish to pursue and extend. We can worry about the draft in a few days. Note: Bryant is just now in the prime of his career and has proven his value all across the line with Seattle. He has played primarily as a 5-tech on our defense, making him a good fit for a 3-4 DE, but he has also has played for us as a 4-3 DT and 3-4 NT. He is scheme diverse and his biggest strength is taking up blockers and stopping the run. We're moving him because we want more of a pass rush out of our DE position, but he's perfect for a team looking to stop the run. Note: We sincerely believe Flynn is a franchise QB and feel that any team who trades for him is getting a steal considering the relative QB options this offseason. Wilson proved exactly why Pete chose him, but I don't see that as a slight to Flynn at all. He can still be a franchise QB for a lesser price than you'll get on some questionable rookie prospects. Note: We feel this could be a steal for a team looking for one of the best special teamers in the game as well as a good COP back. He is amazing as a return man and will surely improve any team's unit. We didn't use him enough with the emergence of Robert Turbin which is why we feel the need to shop him. Note: McCoy has emerged as a good receiving option this season and definitely has the make up to improve a lot from here. He's still very young at 25 and has improved each season with us as a receiving TE and a surprisingly effective blocker. McCoy could easily be the #1 option for a team as he has flashed great ability in the past. Note: Obo is a solid receiver and a very good special teamer but he has been pushed down our depth chart with the emergence of Golden Tate. Obo can still be a really dependable #3 option and he's a great gunner as well. We just feel value is better elsewhere so he can catch more balls. Datone Jones is a near consensus pick for Seattle. At 6'4" and 283 lbs. with underrated athleticism and strength, Jones brings a lot of diversity to Seattle. We love his ability to crash the pocket on passing downs and disrupt the backfield on running downs. His first year in Seattle, Jones will see a lot of snaps both at LDE and UT. Red Bryant is stout against the run but lacks as a pass rusher. Jones is a more balanced player who will spell Red from the get-go. We also have big plans to use Jones as a pass rusher from the inside on 3rd down or 2nd and long. Seattle is happy to welcome Datone Jones to the Pacific Northwest. The only reason Khaseem Greene is available is he didn't test off the charts athletically at the combine. He's a very instinctual player. One thing we love about him is how fluid and natural he looks in coverage. He's also a talented blitzer with a nose for the ball in run support. Greene should be starting at WLB for us from day 1 and rounds out our LBs nicely, we can also never have too many players with dreads on our D.
Seattle is ecstatic to move up and select Kyle Long. A tremendous physical specimen with one off the best pedigrees in the NFL, Long is still raw with only a couple years of OL play under his belt. However, the talent there is undeniable. With Tom Cable to coach him up, we expect such a natural athlete to make huge strides in our system. Long can play 4 positions on our OL and will compete immediately at Guard and RT. We’re not concerned about any character issues, we trust Long that all of that is in the past. He’s a hard worker who will fit in with the mantra of our O in Seattle. While Seattle’s offense doesn’t resemble Oregon’s all that much, the blocking scheme does. 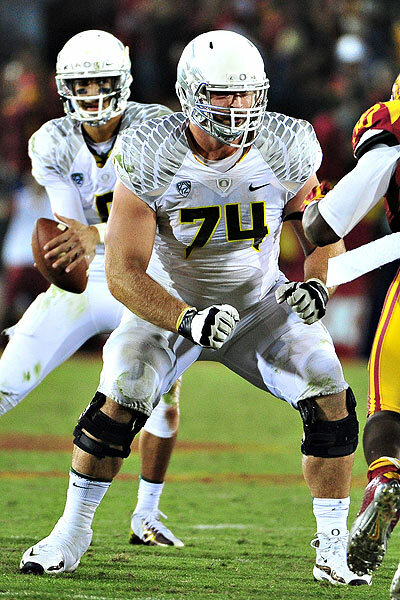 Former Oregon Center and now pro-bowler Max Unger as found a lot of success in our Power ZBS. Seattle feels they are getting a steal here and couldn't pass up on the opportunity to select him. McFadden shows impressively quick hips on tape and has been deemed perhaps the top Nickel corner in this entire draft. We're thrilled to land him here in the late 4th as our main issue on defense for the entirety of the season was covering slot receivers. He brings exactly the type of ball skills and versatility (able to play man and zone well) that we ask for in our Nickel spot. 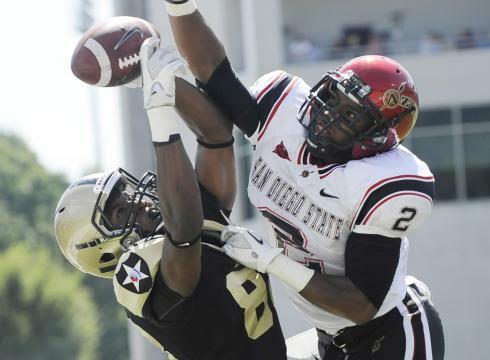 Despite major issues with the new WSU coaching staff, Wilson is a supremely talented WR with big play ability. We don't need an immediate impact out of him but recognize the talent he possesses. We're happy to keep him close to home. He struggled this year in a new scheme but was tremendous last year. At 6'5" 255 lbs. with a 1.59 10 yard split and a 6.91 3-cone drill, he has the athleticism to strive at the LEO position. With Clemons injury we needed a guy to come in and compete at LEO. I bolded the guys I considered untouchable. The only guys I'd add are definitely Wagner and probably Mebane and Bruce. Your final call though. that works great. and I agree completely with the untouchable players I might also add KJ to the list as well unless it was like a 1st. He is one of the best young OLBs in the game. I would like to sign up for any of the remaining positions. I dont have a preferance, but I plan to be a big part of this, this year. do you want to stay specific to one side of the football or both offense and defense? I'll just help out here and there let me know how. Id prefer offense. But would I still have an opinion for who we draft on the defensive side of the ball? I'll take D coordinator, if it's still available.